Jabin Law is a Hong Kong-based singer-songwriter. His music bears the weight of urbanism. Nurtured by Dylanology and 90’s alternative rock movement, Law has been writing hundreds of songs since 2012. Law published his double disc demo album Day and Night in 2014, capturing the melancholy of youthfulness. In 2016 he published his first self-funded folk album The Suns, turned to explore death, existentialism and subconsciousness. The album was heavily influenced by the fingerstyle and singing of Nick Drake. 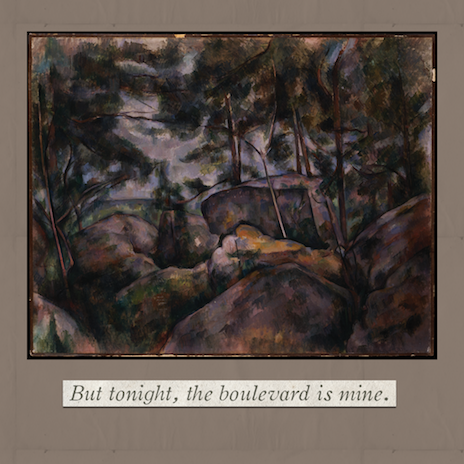 After two years, Jabin conveyed his solitude by releasing But Tonight, The Boulevard Is Mine (2018). The album carefully crafted the folk guitar playing he learnt in early years and accented the flow, temperature and rhythm of the whole album, and thus delivered the desolation and urban life. "It’s difficult to choose just one song from Law’s extensive library of songs, as each song by the blue tinged folk singer is an intimate experience of its own." "The songs of Jabin Law are every bit the archetype of heart-tugging, reflective folk: poetic, thoughtful and insightful, and combining gorgeous harmonic changes and his intoxicating vocals, the singer-songwriter’s carefully constructed songs take melancholy to a new level…"